Who doesn’t love to wear leather jackets? Take any color of real leather and pair it with any of your favorite varieties of clothing and that’s it – it can immediately become the fashion statement. A leather jacket is a complete package of attitude, heritage, and class. Take any purpose, like riding a motorcycle, or protecting your skin from the wind, or keeping you cool during the warm weather – the leather jacket is just the right choice. 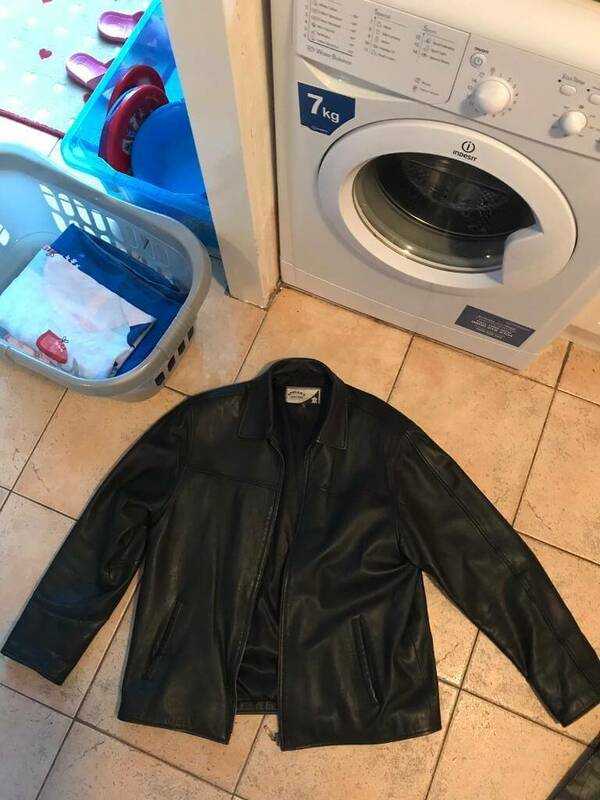 How to Shrink a Leather Jacket? Unfortunately, after a particular time and regular use, it becomes oversize and goofy. It doesn’t fit properly, and you may find it uncomfortable or uncool. You may think that now this trendy attire is of no use. But, here is some good news! There are various techniques available to shrink a leather jacket. You can wash it by hands or even in the washing machine. You don’t even have to take it to some tailors. Isn’t it awesome? 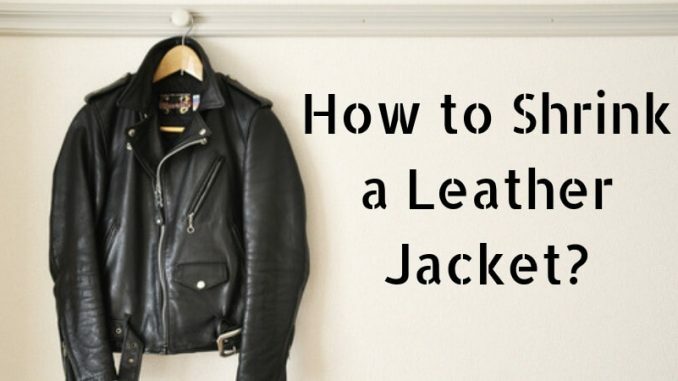 Read this article and know how to resize your favorite leather jacket. This technique is the simplest and the most convenient one. First of all, take a large bin and fill it half with the warm water. Any hardware stores or selling sites can help you with the 30 – 35 gallons of the plastic bin. You can also use your bathtub in this case, but I suggest to have a container as sometimes, the dye of the jacket can bleed and ruin the fineness of the tub. Also, don’t forget to wear gloves to prevent sticking the stain on your hands. Here you have to take care of one thing that the jacket must be soaked thoroughly under the warm water. After a few minutes, rub the jacket so that the excess dye can bleed out. You can see some changes in the color of the water, but don’t worry about it as it can’t harm your skin. This soaking procedure allows the material to absorb more water and will promote shrinkage. Then, wring the water thoroughly, but carefully in the tub or the plastic bin. Try to avoid dye mess all over the floor. At last, take a fresh towel and allow the shrinking leather jacket to be dried out completely. It may take 48 hours! Put it in the dry area but not in the direct sunlight. If you are in a hurry, you can also try a hair-dryer. Without putting much effort, just run a regular cycle of your washing machine with cold water and ‘soft’ settings. Never wash the leather jacket with any other clothes as the dye might bleed and ruin the other clothes. Also, don’t use detergent as there is no need for that in the shrinking process. Once the washing cycle gets over, remove the excess water out from your leather jacket. Now, either you can air-dry it or use the washing dryer and try to dry it with the medium heat. Once it’s done, try it and if you feel that it is still oversized, then repeat the whole process on your leather jacket till it fits best. So, these were the simplest and easy to do DIYs for shrinking leather jackets. As per our research, there is one more method to resize a leather jacket, which is tailoring. Find an appropriate tailor around you and give him/her your measurements and let him handle the other stuff. I hope this article is useful and easy to understand. Stay stylish and conquer the world.